The Yellowstone cutthroat trout (Oncorhynchus clarki bouvieri) is a member of the Salmonidae, the family of trout, salmon, grayling, and whitefish. This subspecies was first described by C. E. Bendire in 1882 based on a sample from a disjunct population in Waha Lake, Idaho (Behnke 1992), but many explorers had made earlier observations of this subspecies in Montana and Wyoming (May 1996). Native Americans undoubtedly recognized this species for much longer. The Yellowstone cutthroat trout is visually distinguished from other trout species by its two prominent red slashes on the lower jaw, and from other cutthroat trout subspecies by its medium-large, black spots that tend to be concentrated posteriorly and its drab brownish, yellowish, or silvery coloration, with brighter colors generally absent even in mature fish (Behnke 1992; Baxter and Stone 1995). The relation of Yellowstone cutthroat trout to Snake River fine-spotted cutthroat trout O. c. spp. is problematic. Early genetic analyses could not distinguish these subspecies (Loudenslager and Kitchin 1979; Leary et al. 1987), but recent attempts have been more successful (Kruse 1995). Behnke (1992) contended that the Snake River fine-spotted cutthroat trout constituted a separate subspecies as a consequence of its distinctive appearance, unsurprisingly, caused by an abundance of ground-pepper-sized spots and its novel life history involving extensive movement among spring streams, small tributaries, and large rivers in a geologically young basin (Kiefling 1978). Regardless, it has never been formally recognized and is often considered synonymous with Yellowstone cutthroat trout (e.g., for purposes of federal listing; Dufek et al. 1999). Within its historical range, this subspecies is considered a “species of special concern” or a “sensitive species” by many state and federal natural resource agencies and organizations, including the Montana Department of Fish, Wildlife and Parks, Region 1 of the U.S. Forest Service, the American Fisheries Society, and the Montana Natural Heritage Program (Johnson 1987; Gresswell 1995; Wyoming Game and Fish Department 2000; Montana Natural Heritage Program 2001). In 1998, it was petitioned for listing as a threatened species under the Endangered Species Act (Biodiversity Legal Foundation et al. 1998), but this petition was rejected in February 2001 (U.S. Fish and Wildlife Service 2001). Concerns about the decline of Yellowstone cutthroat trout have led to a number of status and distribution reports (e.g., Hanzel 1959; Hadley 1984; Thurow et al. 1988, 1997; Varley and Gresswell 1988; Behnke 1992; Gresswell 1995; May 1996; May 1998; Anonymous 1999; Dufek et al. 1999). Historically, Yellowstone cutthroat trout were believed to have occupied much of the Yellowstone River basin, including portions of the Clarks Fork of the Yellowstone River, Bighorn River, and Tongue River basins in Montana and Wyoming, and parts of the Snake River basin in Wyoming, Idaho, Utah, and Nevada (Figure 1; Behnke 1992). The lower portions of some main-stem rivers e.g., the Tongue River, may have been too warm to support populations. Figure 1. Potential historical range of Yellowstone cutthroat trout in Montana. Rangewide, Yellowstone cutthroat trout have undergone substantial declines in distribution and abundance. Populations in Utah and Nevada are limited to 1-2 basins (May 1996). Based on a survey of biologists, May (1996) concluded that in Idaho, Yellowstone cutthroat trout occupied 43% of their historical range, in Wyoming 42%, and in Montana, 32%. Most remaining indigenous populations in Montana inhabit headwater streams, though the Yellowstone River main stem also supports large numbers of this subspecies. More recent estimates suggest that in Montana 10% of the historically occupied fluvial habitat still contains genetically pure populations (May 1998; Anonymous 1999). Yet all these estimates must be regarded as approximations because many waters in its historical range were probably barren of fish because of barriers to upstream migration (May 1996; Dufek et al. 1999). Also, stocking in previously barren waters in historically occupied basins has been commonplace. For example, in Montana only 2-6 lakes were believed to be historically occupied, whereas over 100 lakes now support genetically pure Yellowstone cutthroat trout (May 1996; May et al. 1998). Finally, recent comprehensive field surveys of Montana waters are lacking. Similar surveys in northwestern Wyoming outside Yellowstone National Park revealed that of 1,700 km of potential historical habitat, only 245 km contained reasonably genetically pure Yellowstone cutthroat trout distributed in four populations, all of which had been exposed to introgression with Snake River fine-spotted cutthroat trout (Kruse et al. 2000). Yellowstone cutthroat trout inhabit relatively clear, cold streams, rivers, and lakes. Optimal temperatures have been reported to be from 4 to 15°C, with occupied waters ranging from 0 to 27°C (Gresswell 1995). Yellowstone cutthroat trout typically spawn in spring and early summer after flows have declined from their seasonal peak and tend to select sites with suitable substrate (gravel less than 85 mm in diameter), water depth (9-30 cm), and water velocity (16-60 cm/s) (Varley and Gresswell 1988; Byorth 1990; Thurow and King 1994). Water temperature determines the time to hatching and emergence of fry. After emergence, fry immediately begin feeding, typically in nearby stream margin habitats, but they may also undertake migrations to other waters (Gresswell 1995). Juvenile fish require three or more years to mature. Spawning fish tend to be from 200 to over 600 mm long and weigh from 0.1 to 5 kg (Thurow et al. 1988). Fish may live as long as 11 years (Gresswell 1995). There are three primary life history patterns: resident, fluvial, and adfluvial (Gresswell 1995). Resident fish occupy home ranges entirely within relatively short reaches of streams. This may be the dominant strategy in headwater streams, particularly those isolated from other waters by barriers. Fluvial fish migrate as adults from larger streams or rivers to smaller streams to reproduce. The resulting fry migrate to the larger waters 1-3 years after emergence. Many of the fish in the Yellowstone River exhibit this pattern (Clancy 1988). Adfluvial fish exhibit a similar pattern, but migrate “sometimes many kilometers” as mature adults from lakes to inlet or outlet streams to spawn. Yellowstone cutthroat trout from McBride Lake “used to found many alpine lake populations in Montana” (McMullin and Dotson 1988) and adopt this strategy. Populations of Yellowstone cutthroat trout in basins providing a diversity of habitats have evolved variations of all these strategies (Gresswell et al. 1994, 1997); individuals with different strategies may use the same habitats and even interbreed (cf. Jonsson 1985). Movement in cutthroat trout may also be associated with temporal habitat changes. At low water temperatures in winter, fry (and probably juvenile) Yellowstone cutthroat trout entered spaces in the stream bottom during the day, and emerged from them at night (Griffith and Smith 1993). Larger cutthroat trout may also shift habitats from fall to winter as water temperature declines and anchor and shelf ice develop (Brown and Mackay 1995; Jakober et al. 1998). Yellowstone cutthroat trout probably undergo localized movements associated with changes in habitat or food availability in other seasons (cf. Young 1996; Young et al. 1997, 1998). Gresswell (1995) and Kruse et al. (2000) considered nonnative fish species the greatest threat to the persistence of Yellowstone cutthroat trout. Because Yellowstone cutthroat trout and rainbow trout readily hybridize and produce fertile offspring, sympatric populations often form hybrid swarms (Allendorf and Leary 1988; Henderson et al. 2000). Introductions or invasions of brown trout Salmo trutta and brook trout Salvelinus fontinalis have led to displacement of cutthroat trout throughout the western U.S. (Behnke 1992). The recent discovery of highly piscivorous lake trout Salvelinus namaycush in Yellowstone Lake is of concern because of the trophic consequences for that ecosystem if Yellowstone cutthroat trout are substantially reduced (Kaeding et al. 1996). Nevertheless, vulnerability to displacement by nonnative fishes is not uniform (see Thurow et al. 1988; Varley and Gresswell 1988) and may reflect the evolutionary history of particular populations of Yellowstone cutthroat trout, the habitat requirements of nonnative species, and habitat quality. A related concern is the widespread stocking of nonindigenous populations of Yellowstone cutthroat trout e.g., the distribution of fish from Yellowstone Lake throughout the historical range of the subspecies (Varley and Gresswell 1988). This practice tends to genetically homogenize populations and may be detrimental to their long-term persistence. The influence of other nonnative organisms also threatens the persistence of Yellowstone cutthroat trout. Yellowstone cutthroat trout are probably susceptible to infection by Myxobolus cerebralis, a European protozoan and the causative agent of whirling disease (Bergersen and Anderson 1997). Whether this disease harms cutthroat trout populations is dependent on an interaction among juvenile trout growth, habitat availability for the parasite’s intermediate host, and water temperature (R. Vincent, Montana Department of Fish, Wildlife and Parks, personal communication). Similarly, the effects of New Zealand mud snail Potamopyrgus antipodarum on trout populations and aquatic ecosystems are unknown. This organism is presently found in the Madison, Snake, and Yellowstone rivers in Yellowstone National Park (B. L. Kerans, Montana State University, unpublished data), and is likely to be inadvertently introduced (probably by anglers) into additional waters. Habitat issues are perhaps of lesser import. Although habitat degradation is thought to favor certain nonnative fishes, such species have regularly invaded or persisted in pristine environments (Kruse et al. 2000). Nevertheless, examples of the detrimental effects of habitat degradation, loss, and fragmentation on Yellowstone cutthroat trout abound. Tributary dewatering for irrigation (Clancy 1988), dams (as barriers) and reservoirs (as poor habitat and sources of nonnative fishes; Thurow et al. 1988), river channelization (or rip rap; C. Clancy, Montana Department of Fish, Wildlife and Parks, personal communication), grazing (Corsi 1988), mining (Nelson et al. 1991), logging (Chamberlin et al. 1991), and road building (Furniss et al. 1991) have been implicated in the loss or reduction of populations of cutthroat trout. Because many populations of Yellowstone cutthroat trout possess complex life histories relying on movement among diverse habitats (Clancy 1988; Thurow et al. 1988; Gresswell et al. 1994), disruptions in habitat quality or availability may reduce this diversity (Rieman and Dunham 2000) or lead to extinction of isolated populations (Dunham et al. 1997). Unfortunately, most remaining populations in Montana are isolated and are at risk of extinction from natural and human-caused events (May et al. 1998). Historically, intensive harvest by anglers altered the size structure and abundance of Yellowstone cutthroat trout in some waters (Gresswell and Varley 1988), probably because this subspecies is extremely susceptible to capture (Schill et al. 1986). Harvest restrictions appear adequate to protect Yellowstone cutthroat trout under severe angling pressure (Gresswell and Varley 1988), and these are commonly used in Montana. To maintain healthy populations of Yellowstone cutthroat trout and to ensure the wide-ranging persistence of this subspecies in Montana and elsewhere, a number of tactics have been proposed in recent status assessments (Yellowstone Cutthroat Trout Working Group 1994; Gresswell 1995; May 1996; May et al. 1998; Anonymous 1999; Dufek et al. 1999; Wyoming Game and Fish Department 2000). These include field surveys, harvest management, habitat protection and improvement, nonnative species control, and broodstock management. Initially, there is a need for a comprehensive survey of all waters thought to historically contain Yellowstone cutthroat trout in Montana (sensu Kruse et al. 2000) to identify their current distribution and security. Preliminary surveys are underway in a few Montana watersheds (B. May, Gallatin National Forest, personal communication). Coupled with this is the need to complete a genetic inventory of those populations thought to be genetically pure (Anonymous 1999; Wyoming Game and Fish Department 2000). Restricting harvest through catch-and-release regulations, seasonal closures, maximum size limits, and slot limits has been successful, and its continued use is important. Furthermore, habitat alterations harming Yellowstone cutthroat trout should be minimized. Degraded habitats should be improved through better land and water management, and fragmented habitats reconnected to permit fish passage. Rangewide removal of nonnative species is unrealistic, but this approach should be attempted in waters with a high probability of successful removal of nonnative species and of successful reestablishment of self-sustaining populations of Yellowstone cutthroat trout. If barriers are constructed to isolate cutthroat trout populations and prevent upstream invasions of nonnative species, active removal of nonnative species below such barriers is necessary because most structures will fail after a few years or decades (cf. Harig et al. 2000), and the eventual extinction of small, isolated trout populations appears likely (Hilderbrand and Kershner 2000). Broodstocks for restoring Yellowstone cutthroat trout should reflect the unique evolutionary legacy of particular watersheds. Thus, individual broodstocks should be developed for different portions of the historical range and should reflect the life histories most likely to succeed in a particular watershed. Finally, restoration plans should identify which waters are necessary to maintain and enhance populations, and which tactics will be used to enlarge and secure them; May et al. (1998) provide an excellent example of a population-specific conservation plan. I thank R. Gresswell, C. Kruse, B. May, and J. Tohtz for reviewing a draft of this manuscript. Funding for preparation of this document was provided by the Rocky Mountain Research Station, Research Work Unit 4352, Laramie, Wyoming. Allendorf, F. W., and R. F. Leary. 1988. Conservation and distribution of genetic variation in a polytypic species, the cutthroat trout. Conservation Biology 2: 170-184. Anonymous. 1999. Yellowstone cutthroat trout: current status and recommendations within the state of Montana. Gallatin and Custer National Forests, Regions 3 and 5, Montana Department of Fish, Wildlife and Parks, and U.S. Fish and Wildlife Service Montana Technical Assistance Office. Baxter, G. T., and M. D. Stone. 1995. Fishes of Wyoming. Wyoming Game and Fish Department, Cheyenne. Behnke, R. J. 1992. Native trout of western North America. American Fisheries Society Monograph 6, Bethesda, Maryland. Bergersen, E. P., and D. E. Anderson. 1997. The distribution and spread of Myxobolus cerebralis in the United States. Fisheries 22(8): 6-7. Biodiversity Legal Foundation, Alliance for the Wild Rockies, Montana Ecosystems Defense Council, and G. Wuerthner. 1998. Petition for a rule to list the Yellowstone cutthroat trout (Oncorhynchus clarki bouvieri) as threatened under the Endangered Species Act, 16 U.S.C. ‘ 1531 et seq. (1973 as amended). U.S. Fish and Wildlife Service, Washington, D.C.
Brown, R. S., and W. C. Mackay. 1995. Fall and winter movements of and habitat use by cutthroat trout in the Ram River, Alberta. Transactions of the American Fisheries Society 124: 873-885. Byorth, P. A. 1990. An evaluation of Yellowstone cutthroat trout production in three tributaries of the Yellowstone River, Montana. Masterï¿½s thesis. Montana State University, Bozeman. Chamberlin, T. W., R. D. Harr, and F. H. Everest. 1991. Timber harvesting, silviculture, and watershed processes. Pages 181-206 in W. R. Meehan, editor. Influences of forest and rangeland management on salmonid fishes and their habitats. American Fisheries Society Special Publication 19, Bethesda, Maryland. Clancy, C. G. 1988. Effects of dewatering on spawning by Yellowstone cutthroat trout in tributaries to the Yellowstone River, Montana. American Fisheries Society Symposium 4: 37-41. Corsi, C. 1988. The life history and status of the Yellowstone cutthroat trout (Salmo clarki bouvieri) in the Willow Creek drainage, Idaho. Master’s thesis, Idaho State University, Pocatello. Dufek, D., K. Johnson, J. Kiefling, B. McDowell, R. McKnight, S. Roth, and S. Yekel. 1999. Status and management of Yellowstone cutthroat trout Oncorhynchus clarki bouvieri. Wyoming Game and Fish Department, Cheyenne. Dunham J. B., G. L. Vinyard, and B. E. Rieman. 1997. Habitat fragmentation and extinction risk of Lahontan cutthroat trout. North American Journal of Fisheries Management 17: 1126-1133. Furniss, M. J., T. D. Roelofs, and C. S. Yee. 1991. Road construction and maintenance. Pages 297-324 in W. R. Meehan, editor. Influences of forest and rangeland management on salmonid fishes and their habitats. American Fisheries Society Special Publication 19, Bethesda, Maryland. Gresswell, R. E. 1995. Yellowstone cutthroat trout. Pages 36-54 in M. K. Young, technical editor. Conservation assessment for inland cutthroat trout. U.S. Forest Service General Technical Report RM-GTR-256. Gresswell, R. E., W. J. Liss, and G. L. Larson. 1994. Life-history organization of Yellowstone cutthroat trout (Oncorhynchus clarki bouvieri) in Yellowstone Lake. Canadian Journal of Fisheries and Aquatic Sciences 51(Supplement 1): 298-309. Gresswell, R. E., W. J. Liss, G. L. Larson, and P. J. Bartlein. 1997. Influence of basin-scale physical variables on life history characteristics of cutthroat trout in Yellowstone Lake. North American Journal of Fisheries Management 17: 1046-1064. Gresswell, R. E., and J. D. Varley. 1988. Effects of a century of human influence on the cutthroat trout of Yellowstone Lake. American Fisheries Society Symposium 4:45-52. Griffith, J. S., and R. W. Smith. 1993. Use of winter concealment cover by juvenile cutthroat and brown trout in the South Fork of the Snake River, Idaho. North American Journal of Fisheries Management 13: 823-830. Hadley, K. 1984. Status report on the Yellowstone cutthroat trout (Salmo clarki bouvieri) in Montana. Montana Department of Fish, Wildlife and Parks, Helena. Hanzel, D. A. 1959. The distribution of the cutthroat trout (Salmo clarki) in Montana. Proceedings of the Montana Academy of Sciences 19:32-71. Harig, A. L., K. D. Fausch, and M. K. Young. 2000. Factors influencing success of greenback cutthroat trout translocations. North American Journal of Fisheries Management 20: 994-1004. Henderson, R., J. L. Kershner, and C. A. Toline. 2000. Timing and location of spawning by nonnative wild rainbow trout and native cutthroat trout in the South Fork Snake River, Idaho, with implications for hybridization. North American Journal of Fisheries Management 20: 584-596. Hilderbrand, R. H., and J. L. Kershner. 2000. Conserving inland cutthroat trout in small streams: how much stream is enough? North American Journal of Fisheries Management 20: 513-520. Jakober, M. J., T. E. McMahon, R. F. Thurow, and C. G. Clancy. 1998. Role of stream ice on fall and winter movements and habitat use by bull trout and cutthroat trout in Montana headwater streams. Transactions of the American Fisheries Society 127: 223-235. Johnson, J. E. 1987. Protected fishes of the United States and Canada. American Fisheries Society, Bethesda, Maryland. Jonsson, B. 1985. Life history patterns of freshwater resident and sea-run migrant brown trout in Norway. Transactions of the American Fisheries Society 114: 182-194. Kaeding, L. R., G. D. Boltz, and D. G. Carty. 1996. Lake trout discovered in Yellowstone Lake threaten native cutthroat trout. Fisheries 21(3):16-20. Kiefling, J. W. 1978. Studies on the ecology of the Snake River cutthroat trout. Wyoming Game and Fish Commission, Fisheries Technical Bulletin 3, Cheyenne. Kruse, C. G. 1995. Genetic purity, habitat, and population characteristics of Yellowstone cutthroat trout in the Greybull River drainage, Wyoming. Master’s thesis. University of Wyoming, Laramie. Kruse, C. G., W. A. Hubert, and F. J. Rahel. 2000. Status of Yellowstone cutthroat trout in Wyoming waters. North American Journal of Fisheries Management 20: 693-705. Leary, R. F., F. W. Allendorf, S. R. Phelps, and K. L. Knudsen. 1987. Genetic divergence and identification of seven cutthroat trout subspecies and rainbow trout. Transactions of the American Fisheries Society 116: 580-587. Loudenslager, E. R., and E. M. Kitchin. 1979. Genetic similarity of two forms of cutthroat trout, Salmo clarki, in Wyoming. Copeia 1979: 673-678. May, B. E. 1996. Yellowstone cutthroat trout. Pages 11-34 in D. Duff, editor. Conservation assessment for inland cutthroat trout: distribution, status and habitat management implications. U.S. Forest Service, Northern, Rocky Mountain, Intermountain, and Southwestern Regions. May, B. E. 1998. Yellowstone cutthroat trout: current status and conservation recommendations with the state of Montana. U.S. Forest Service, Gallatin National Forest, Bozeman, Montana. May, B. E., and twelve others. 1998. 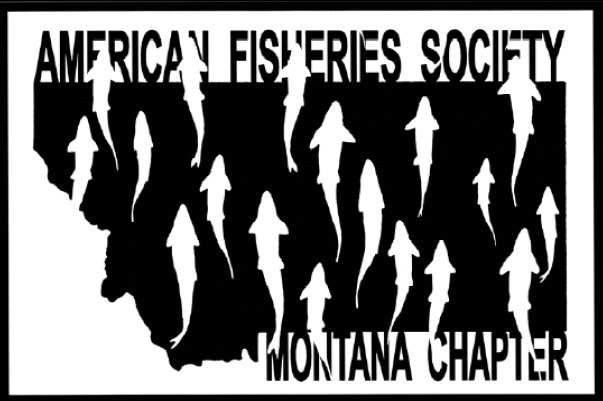 Yellowstone cutthroat trout conservation program within the state of Montana. Prepared for the Montana Department of Fish, Wildlife and Parks, Helena. McMullin, S. L., and T. Dotson. 1988. Use of McBride Lake strain Yellowstone cutthroat trout for lake and reservoir management in Montana. American Fisheries Society Symposium 4: 42-44. Montana Natural Heritage Program. 2001. Yellowstone cutthroat trout. Website http://orion2.nris.state.mt.us/mtnhp/animal/index.html. Nelson, R. L., M. L. McHenry, and W. S. Platts. 1991. Mining. Pages 425-458 in W. R. Meehan, editor. Influences of forest and rangeland management on salmonid fishes and their habitats. American Fisheries Society Special Publication 19, Bethesda, Maryland. Rieman, B. E., and J. B. Dunham. 2000. Metapopulations and salmonids: a synthesis of life history patterns and empirical observations. Ecology of Freshwater Fish 9: 51-64. Schill, D. J., J. S. Griffith, and R. E. Gresswell. 1986. Hooking mortality of cutthroat trout in a catch-and-release segment of the Yellowstone River, Yellowstone National Park. North American Journal of Fisheries Management 6: 226-232. Thurow, R. F., C. E. Corsi, and V. K. Moore. 1988. Status, ecology, and management of Yellowstone cutthroat trout in Upper Snake River Drainage, Idaho. American Fisheries Society Symposium 4:25-36. Thurow, R. F., and J. G. King. 1994. Attributes of Yellowstone cutthroat trout redds in a tributary of the Snake River, Idaho. Transactions of the American Fisheries Society 123: 37-50. Thurow, R. F., D. C. Lee, and B. E. Rieman. 1997. Distribution and status of seven native salmonids in the interior Columbia River basin and portions of the Klamath River and Great Basins. North American Journal of Fisheries Management 17: 1094-1110. U.S. Fish and Wildlife Service. 2001. Endangered and threatened wildlife and plants: 90-day finding for a petition to list the Yellowstone cutthroat trout as threatened. Federal Register 66: 11244-11149. Varley, J. D., and R. E. Gresswell. 1988. Ecology, status, and management of the Yellowstone cutthroat trout. American Fisheries Society Symposium 4:13-24. Wyoming Game and Fish Department. 2000. Yellowstone cutthroat trout management summary. Wyoming Game and Fish Department, Fish Division, Cheyenne. Yellowstone Cutthroat Trout Working Group. 1994. Yellowstone cutthroat trout (Oncorhynchus clarki bouvieri) management guide for the Yellowstone River drainage. Montana Department of Fish, Wildlife and Parks, Helena, and Wyoming Game and Fish Department, Cheyenne. Young, M. K. 1996. Summer movements and habitat use by Colorado River cutthroat trout in small, montane streams. Canadian Journal of Fisheries and Aquatic Sciences 53: 1403-1408. Young, M. K., K. A. Meyer, D. J. Isaak, and R. A. Wilkison. 1998. Habitat selection and movement by individual cutthroat trout in the absence of competitors. Journal of Freshwater Ecology 13: 371-381. Young, M. K., R. B. Rader, and T. A. Belish. 1997. Influence of macroinvertebrate drift and light on the activity and movement of Colorado River cutthroat trout. Transactions of the American Fisheries Society 126: 428-437.